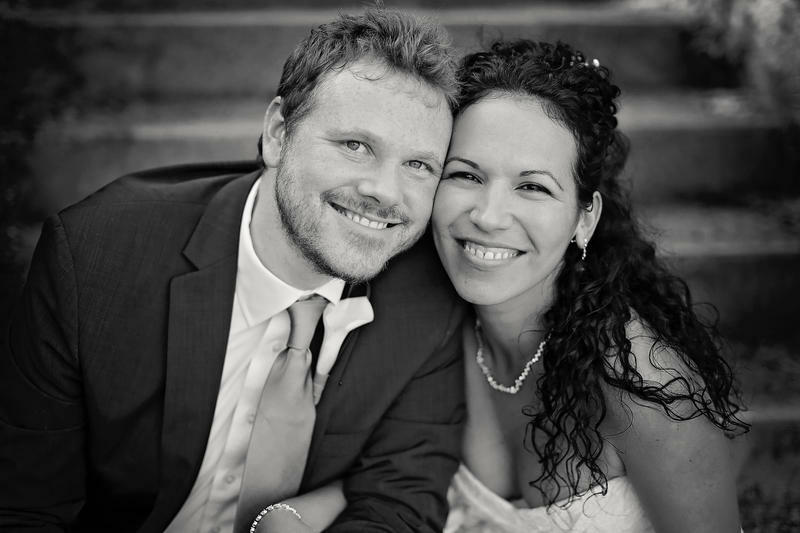 Michael McClintock and Dálida Pupo Barrios met in Cuba and married in Neosho, Missouri. When Michael McClintock and Dálida Pupo Barrios met, it was not love at first sight. Pupo Barrios was doing her job, working for the Cuban minister of culture, accompanying McClintock's tour group when he first visited the country. McClintock had been interested in Latin American music since he was a young teenager in Neosho, Missouri. His uncle, who taught him to play guitar, had wide-ranging musical tastes and schooled McClintock not just in blues and classic rock but also flamenco and finger-style acoustic guitar. And McClintock's parents, who were into jazz musicians like Miles Davis and John Coltrane, visited Rio de Janeiro in the late 1980s and returned with a love of Brazilian music. “I got a little bit more exposure than your normal country boy from Neosho,” McClintock says. He came to Kansas City in 2002 to study classical guitar at the UMKC Conservatory of Music and Dance, where his teachers had been heavily influenced by the Spanish and South American repertoire. And the city had prominent musicians playing salsa and other Latin-American styles, he says, naming local legends such as Agustín Romero-Diaz and Miguel 'Mambo' DeLeon. When he made that fateful trip to Cuba in 2013, it was his first time out of the country. "My head was all over the place — noticing the music, the food, the people, everything," he remembers. By the end of the trip, however, Pupo Barrios had made an equally significant impression. McClintock made two more trips to Cuba. Besides getting to know his future wife, he paid more attention to the music. "I kept seeing all these guys playing what I thought was a guitar," he says. "It was a little smaller than normal, but a lot of stuff in Cuba is handmade or remodeled. After two weeks I was bold enough to go up to one of these guys and ask about it." 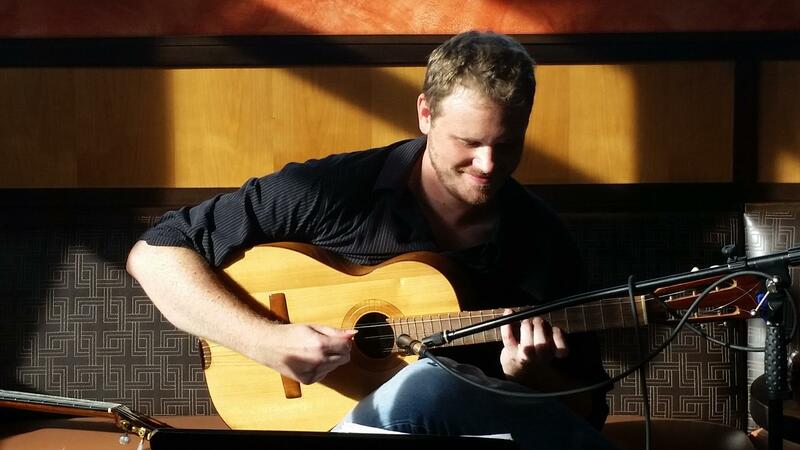 Trained in classical guitar, Michael McClintock now plays the traditional three-stringed Cuban tres. The instrument was a traditional tres, with three double strings. While Pupo Barrios went to work during the day, McClintock took lessons from master treseros such as Efrain Amador and Cesar Echevarria, also known as "El Lento." She tried to talk McClintock into moving there, though she knew that would have been tough. "It would be very difficult for a musician to start his career from zero in Cuba," she admits. "There are many musicians there, and the island is small." Instead, though she was at what felt like the peak of her career, she would leave home and move to a place where, for all she and her friends knew, she might get married on a tractor in a corn field. It had to be done. 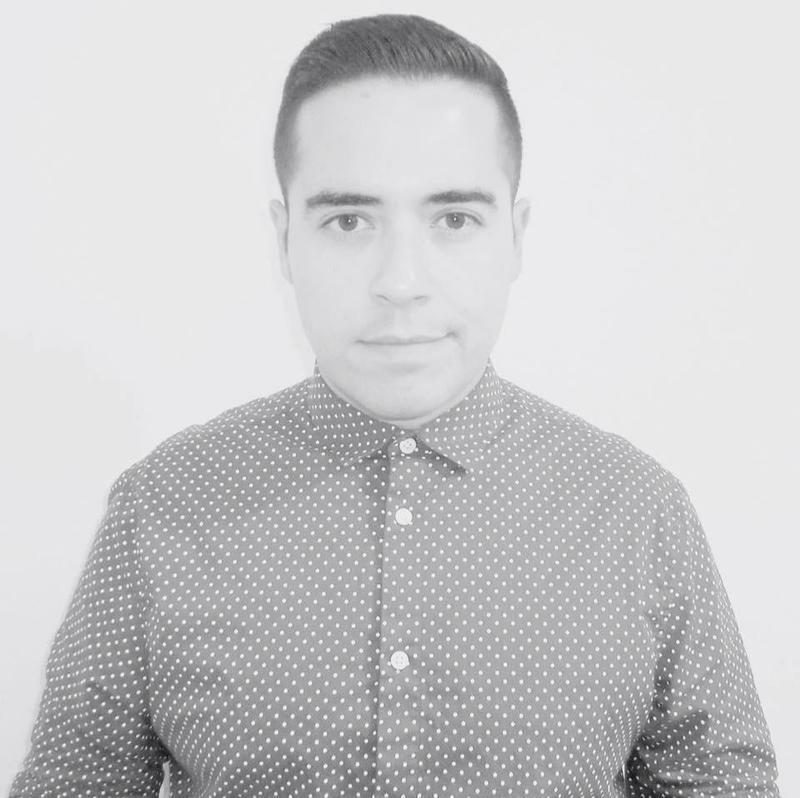 “We were so in love we were suffering a lot, being far apart,” says Pupo Barrios. "I've been super happy since I came," she says. "I have been very impressed with everything that happens here with music and art. Everybody’s very nice, the music is — you don’t have time to go enjoy everything that is happening because there's a lot. I love it." She and McClintock started a business helping people visit Cuba. And she encouraged McClintock, who had been playing with Beau Bledsoe's Guitarras Ibéricas, to start his own project. So McClintock began gathering musicians: percussionists Miko Spears, Robert Beasley and John Currey; bassist Forest Stewart; flute player Mark Strozier; and vocalists Fedra Cooper Barrera and Bruno Bessa. 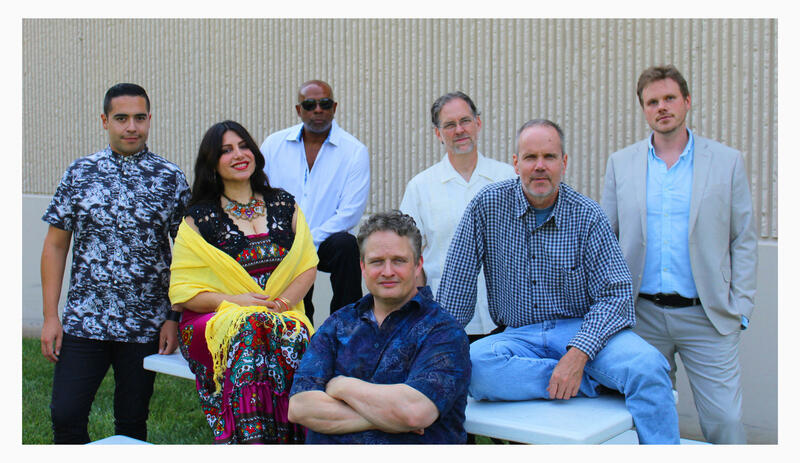 Members of Cubanisms (from left): Bruno Bessa, Fedra Cooper Barrera, Robert Beasley, Mark Strozier, John Currey, Forest Stewart and Michael McClintock. Called Cubanisms, their first gig was in the summer of 2016, and they've just released an album. None of the musicians is actually from Cuba. 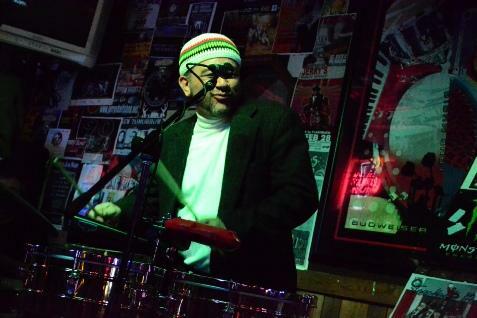 But in addition to McClintock's rigorous and reverent study of traditional Cuban music, they all bring significant experience with Latin American music — Strozier, for example, has played with Tito Puente, and Cooper Barrera, who is originally from Mexico, toured as a backup singer for the Mexican superstar Luis Miguel. Bessa, who moved to Kansas City from Brazil nearly two decades ago, says the blend of cultures is part of what makes Cubanisms' new record work. Bessa says he was excited when McClintock agreed it would be interesting to "re-read" Brazilian music through the Cuban tres. For other songs, McClintock dramatically re-arranged traditional Cuban music. And he Latinizes a couple of American jazz standards, creating a medley of George Gershwin's "Summertime" and Irving Berlin's "Blue Skies." "Gershwin fit the tres really well," he says, "and Berlin has some similar chords. So I came up with a rhythmic motif to bridge those songs." Pupah Barrios says the musicians back home in Cuba will get it. She'll know whether that's true in the next couple of months, when she and McClintock travel back to Cuba. While Pupah Barrios visits family, McClintock intends to continue his tres studies and promote the new album. They'll be back in Kansas City and planning local performances in February. Bessa says he hopes the sound of the record bridges the Latin-American worlds here in Kansas City. Michael McClintock says that’s the thing about Caribbean music. “It swings, man. It swings like when you hear a good Count Basie tune," he says. And that sort of swing – like love – is a universal language. C.J. Janovy is an arts reporter for KCUR 89.3. You can find her on Twitter, @cjjanovy. Story of a Song is a monthly segment on KCUR's Central Standard in which local musicians tell the story behind a song they have written or are performing. Agustín Romero-Diaz, a native of Cuba and Kansas City resident, died last week at the age of 67. A drummer and singer, he wasn't known for his performances in a band, or on stage. 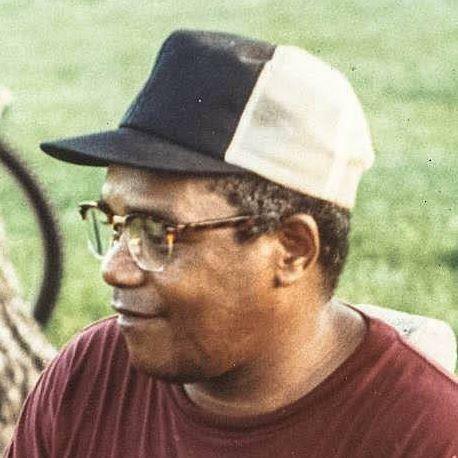 In his three decades in Kansas City, he shared his passion for Afro-Cuban music each week during afternoon drum sessions in Loose Park. Miguel DeLeon is a man of many aliases. To some, he's El Mambo. To others, El Pionero. After nearly three decades leading Latin bands and teaching music in Kansas City, he moved to Phoenix, but he's back for a visit, playing gigs and teaching an Afrocuban drumming workshop.